In my daily occupation of training young, green and problem horses, I realized that understanding and having knowledge of equine psychology are crucial elements of superior horsemanship. I realized that it is impossible to train a horse successfully unless one is capable of reading a horse’s mind. I also realized that understanding equine psychology is equally important in the selection of the right breeding stock. There are many indicators which assist one in making such an assessment, such as certain conformation characteristics, certain behavioural signs of the ears, eyes, mouth and body language. Horses can also be classed in certain psychological categories according to temperament types. The experienced and knowledgeable horseman is capable of making a summery of all these signs, and especially of reading a horse’s body language the moment he makes contact with the horse. This enables him to adopt the right approach right from the start. He will be able to decide whether he should start by building confidence, establishing respect, helping the horse to overcome fear or resentment of humans or objects, or whatever approach will be the most effective to the specific individual. 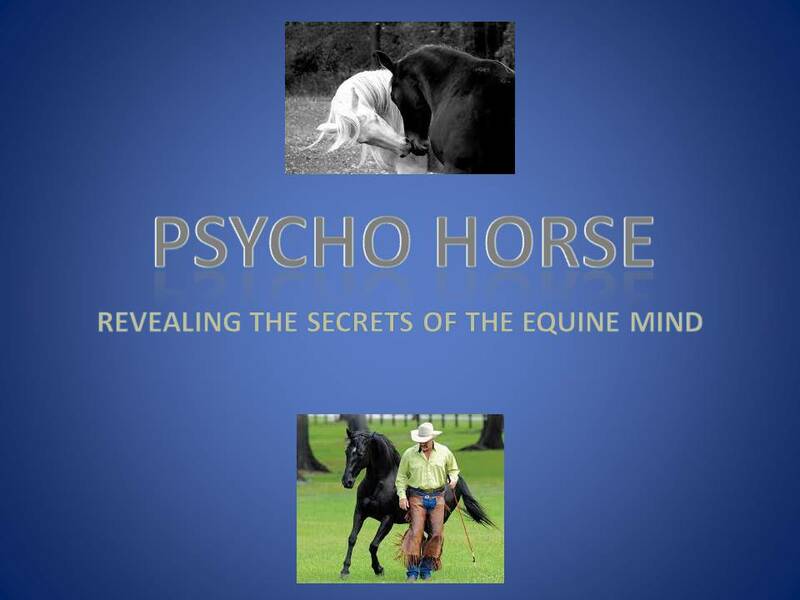 In PSYCHO HORSE I attempt to describe all these aspects as thoroughly as I know how, and to share my personal experience, as well as what I have learned through research, with every horse lover who has the same desire I have – becoming a better horseman. It is my wish that PSYCHO HORSE will assist you in developing a clearer understanding of the equine mind and psychology.